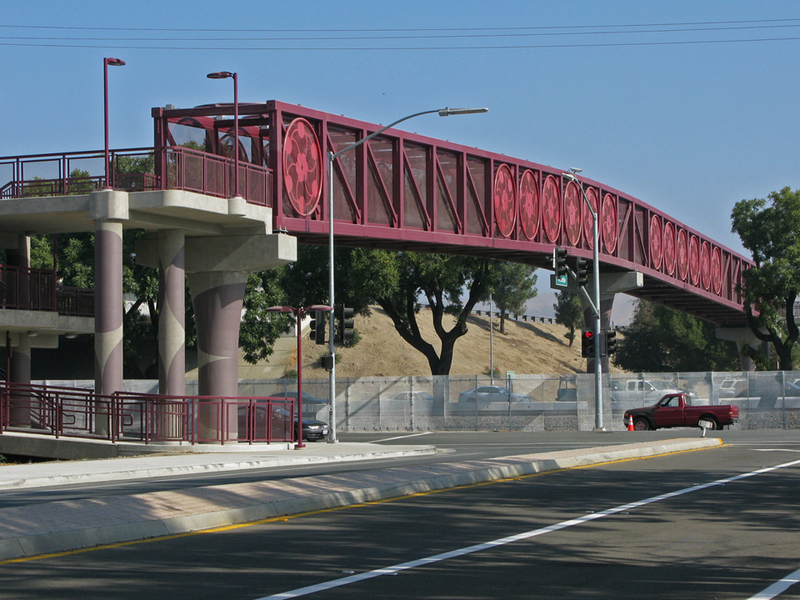 On September 28th, 2012, Blossom Hill Bridge, opened to the public. The bridge celebrates the cycles of life as symbolized by progression of colors and the cherry mandalas, that rotate to create a dynamic pattern statement. 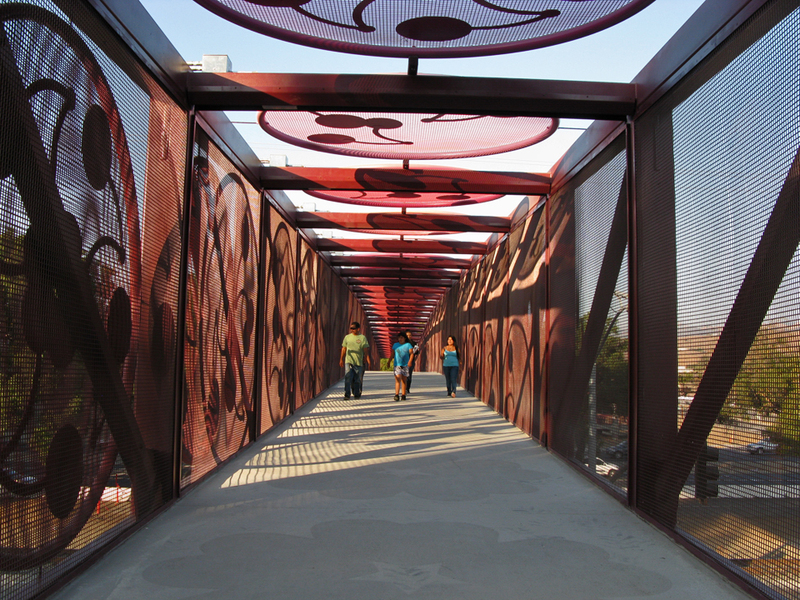 One of the most memorable aspects of the crossing is the shadow garden that graces the bridge throughout the day. Here children play in the shadow garden. 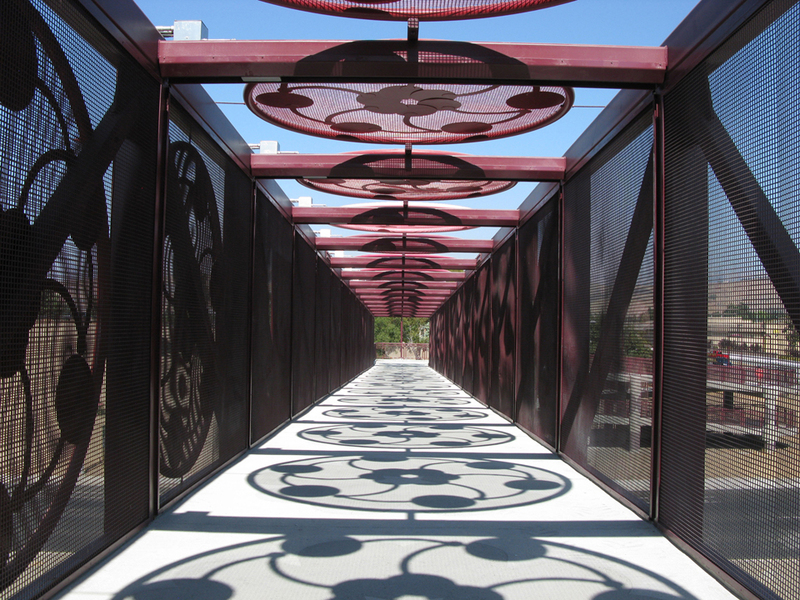 At 3pm the shadow patterns momentarily align to the center of the bridge walkway. 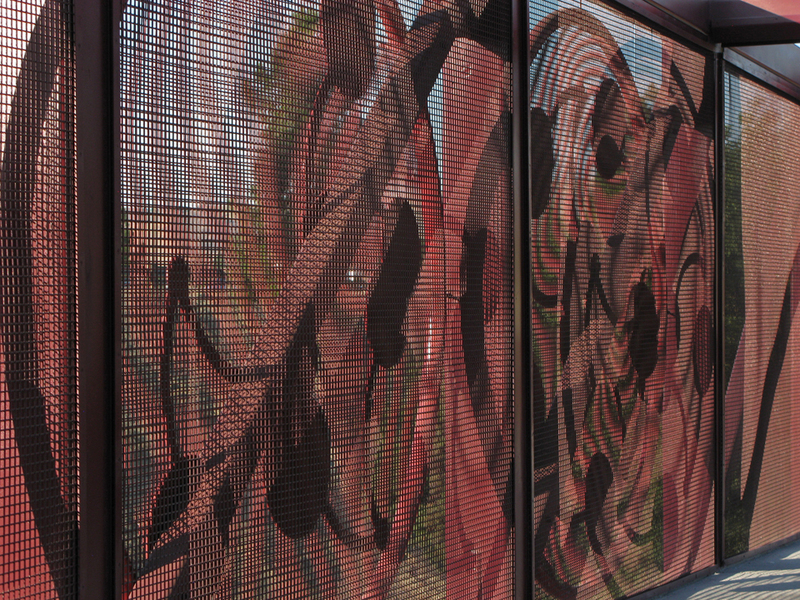 Throughout the day, the shadows migrate across the bridge and onto the screened walls. 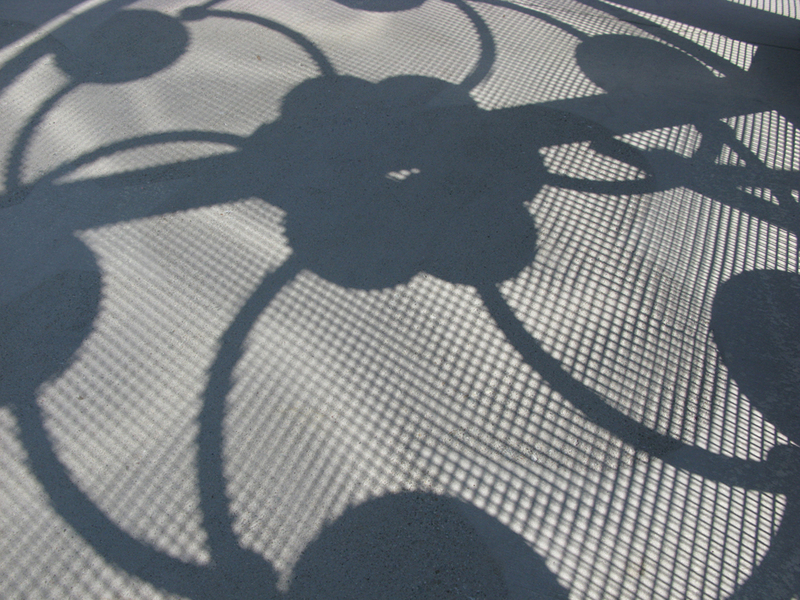 The shadows on the walkway focus and fade depending upon their distance from the screening and the angle of the sun. In the morning, the bridge casts a band of patterning across the road. The bright burgundy red of the bridge and the cherry mandalas enliven the site and recall the cherry orchards that once made this area famous for its orchards, so much so, that tour buses provided annual outings to view the blossoms. The ramp continues the cherry mandala theme with a series of circular painted graphics that wrap the columns and depict the color of the cherries in their life cycle returning to the earth. 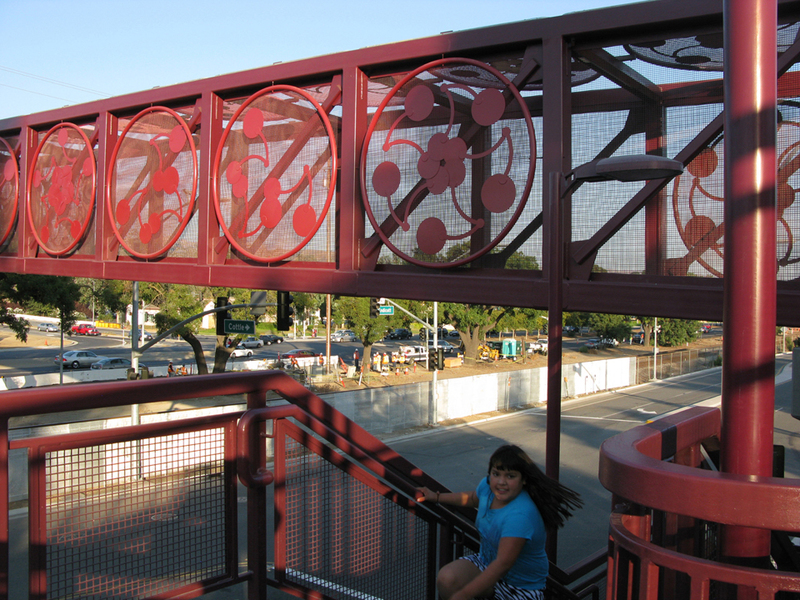 The cycle of life is reflected in the mandalas and the colors throughout the bridge that range from mauve, through purples and pinks to the rich burgundy red of the bridge. 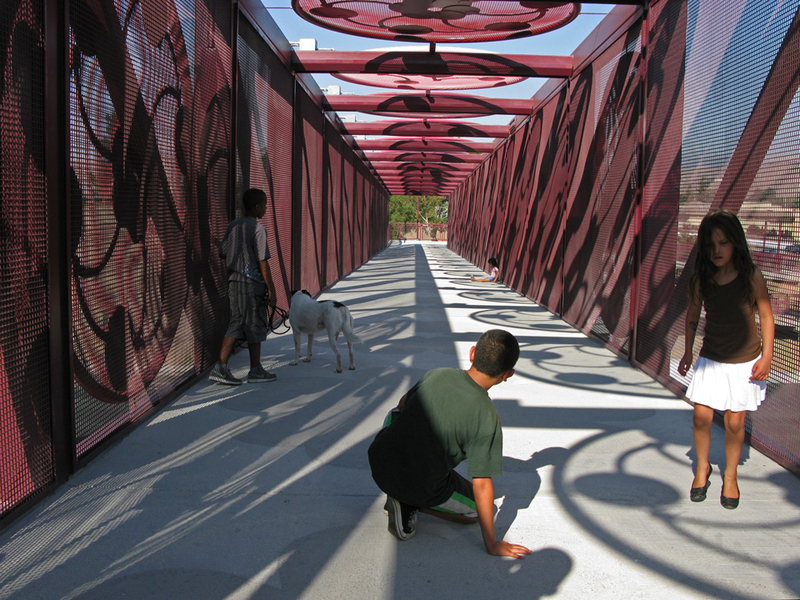 The bridge provides a safe crossing and an attractive feature for the community. 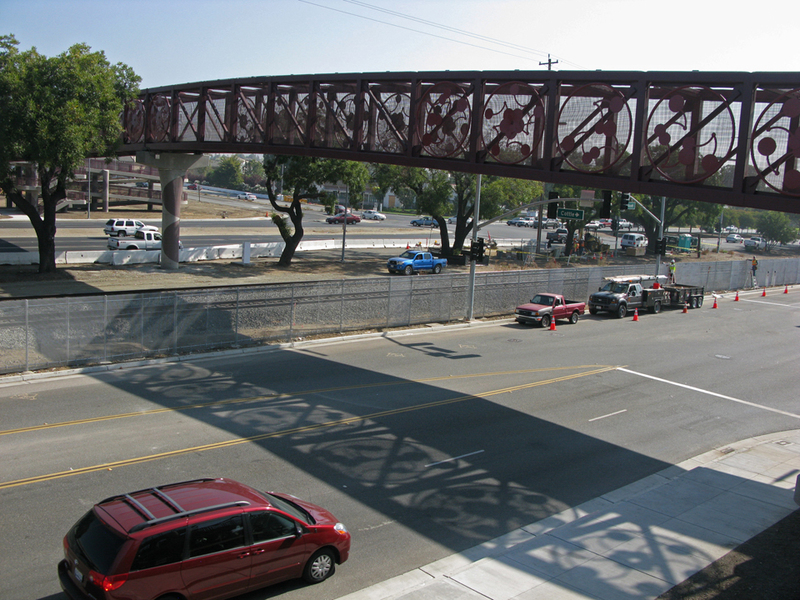 Renamed Xander’s Crossing, the bridge commemorates a child who died after being struck by a train on the nearby tracks. 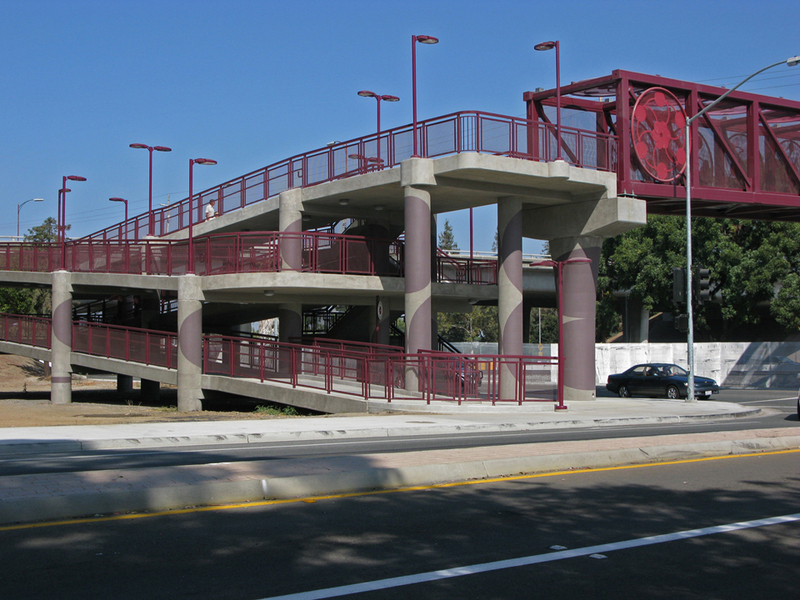 It took over seven years for this project to be realized after this fatal accident. At the dedication of the bridge, the family helped the community to heal by showing their strength, grace and appreciation for their community and their son. Perhaps it is the play of light and shadow that best captures the image of passage and transcendence. As the sun sets toward the horizon and the shadows mount the walls a wash of amber begins to glow.